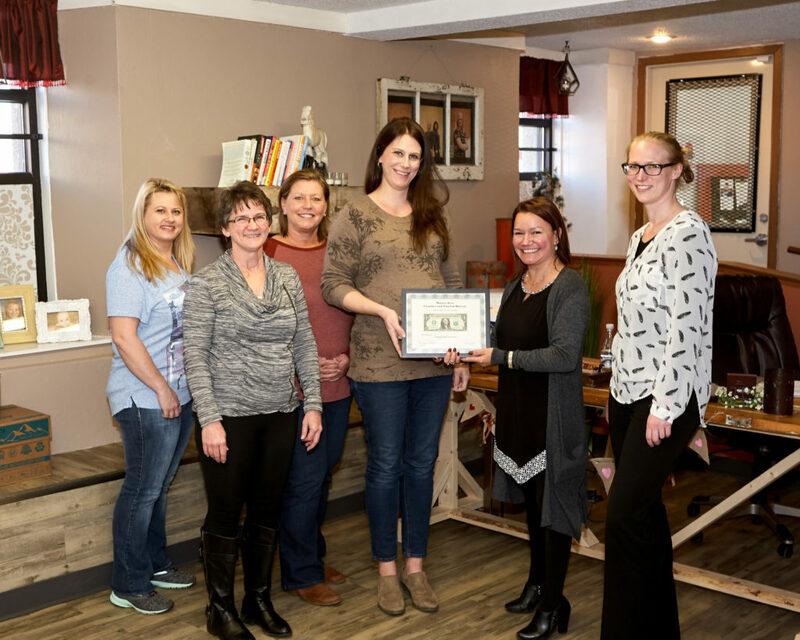 The Morton Area Chamber presented VantagePoint Marketing Consultants with a First Dollar of Profit certificate on January 31. VantagePoint Marketing is located at 221 W 2nd St in Morton. They harness the power of their connections to provide marketing services with a focus on strategy and management. Lear more on their website at VantagePointMarketingConsultants.com. Pictured are Chamber board members Sarah Madsen and Sec/Treas Bonnie Green, VantagePoint Marketing Consultants LaVonne Quackenbush and Claire Meyers, Chamber Pres Nicole Elzenga and VantagePoint Marketing Consultants Heather Koffler.